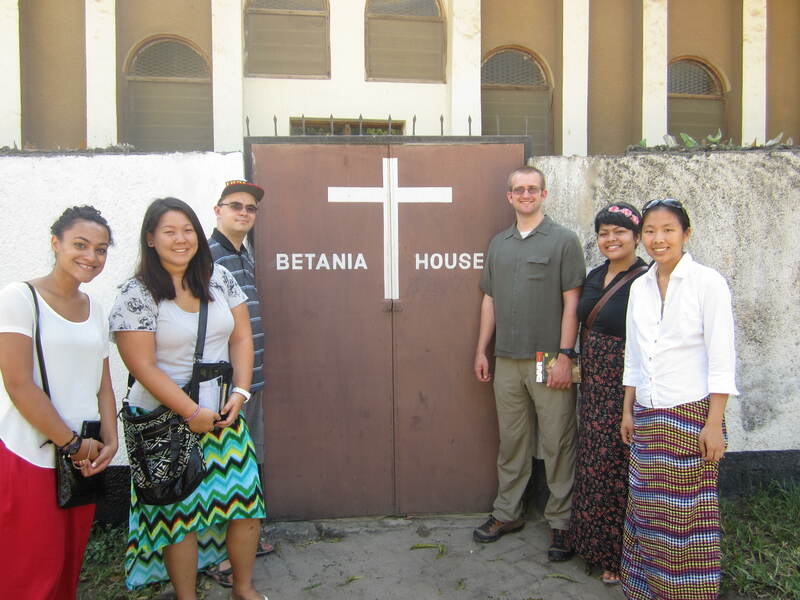 Niya Tawachi, Jaime Rosenberg, Denver Garcia, Sam Bingaman, Brianna Quintailla, and Amy Pollard spend some time exploring the city of Dar es Salaam, Tanzania. June 18 to July 24, 2014, six brave and admirable students led by Service Immersion Coordinator Susan Leyster, embarked on the trip of a lifetime. These six students traveled 20 hours by plane and 19 hours by car to Saint Agnes Convent, School and Orphanage in Chipole, Tanzania in East Africa. 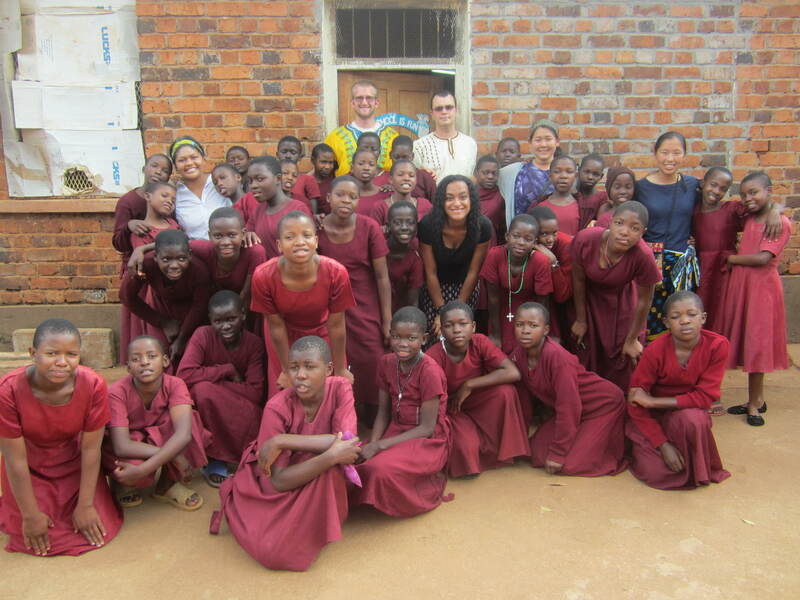 Students Amy Pollard, Sam Bingaman, Jaime Rosenberg, Denver Garcia, Brianna Quintanilla, and Niya Tawachi all traveled to Tanzania in order to immerse themselves into the life and culture of St. Agnes Convent. While the trip was open to all students, staff and clergy, there were minimum requirements for attendance. “The students were required to attend a semester long weekly meetings. Also to do fundraising to encourage formation of our group, to publicize to the school and outside community and to help offset their cost of the trip of $4000 for a five week trip,” said Leyster. Despite the heavy workload that went along with going on the trip, students were held accountable for some pretty incredible tasks. Brianna and Jaime were working with orphans. “They spent all day and sometimes into the early evening reading stories, playing outside with games and dancing, singing, doing small chores with the children such as shelling peanuts, and just spending quality time with them,” stated Leyster. Niya and Sam assisted Sister Redempta, OSB in the Primary School’s Library with reading, artwork and talking about different cultures through with movies. Denver and Amy worked in the bakery making baked goods for the community. Amy also helped with The Dispensary with data entry and manual log entries, Grant writing with Sister Gotharda, OSB. The group of SMU students pose with the students at the primary school. Leyster has had a strong desire to bring students to Tanzania since 2001, when she and her oldest son traveled there in order to form a bond with the sisters of St. Agnes. In the past, many of our Alumni have helped in Chipole. Now, thanks to Leyster, our current students have as well. “Through this immersion experience I hoped that we would form reciprocal relationships because not only is that how learning takes place for our students but also how we are best able to honor those we meet,” states Leyster. While the point was to immerse themselves into Tanzanian culture, students went for various reasons. “I have always been really interested in travel,” said Denver Garcia, one of the students that went on the Tanzania trip. Garcia stated that while his initial interest in the trip was to go to Africa in general, that it was a truly unique experience. The sisters they stayed with work and live in a truly functioning Benedictine community. “They make all their food together, it’s a lot more like what you would see in the middle ages,” explained Garcia. Not only did the students witness another Benedictine community, they also got to participate in some life changing events. Briana Quintanilla, now a graduate of Saint Martin’s University, spent a vast majority of her time working closely with orphans. 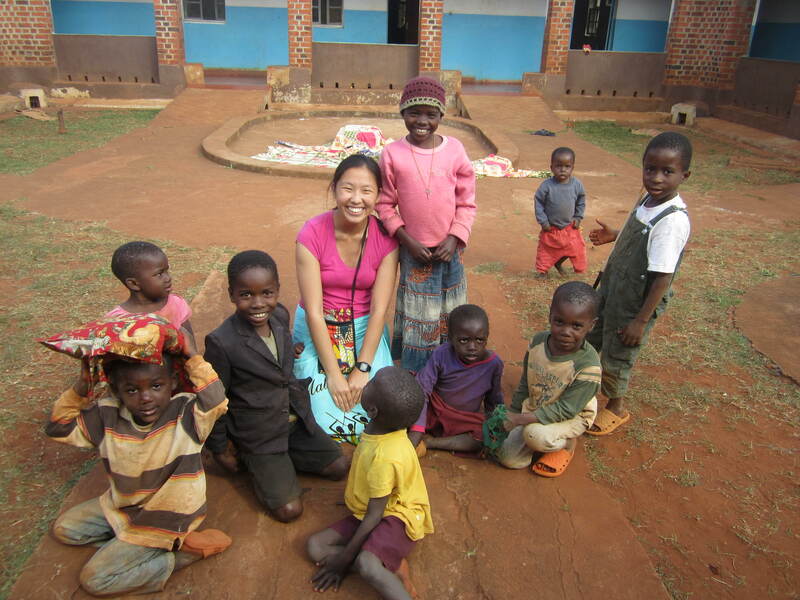 “Working with the orphans was so fun and so exhausting at the same time. We would play music day in and day out and it was always a good time,” explained Quintanilla. Quintanilla and other students also had the opportunity to learn about African life. When asked what the most important thing she learned on the trip, Quintanilla talked about recognizing what privilege she had compared to the children she worked with. “Their fate is decided for them at age 13, whereas for American students we are often not allowed to opt out of school until age 16, but are guaranteed free education until the end of high school. I could go on for days about our inequalities and privilege,” explained Quintanilla. Amy Pollard spends time with some of the orphans. “It is unlike the other summer trips offered. It is not glamorous, but you will feel like a month is just not enough time,” stated Quintanilla. While this trip is clearly not for the faint of heart, it offers an incalculable amount of opportunity. If you are interested in spicing up your resume, travel, education and service, Tanzania is calling your name.